I’m starting these written thoughts from the premise of this quote by Cartier-Bresson. A quote I think happens to immortalize the spirit of what Ricoh (the division of photography) envisioned when they created these series of cameras — the Ricoh GR Digitals. A tool which can create a visual sketch book of sorts almost like the brush of a painter as he composes his vision on a canvas. The Ricoh GR Digital III has been introduced by Ricoh in 2009 following the already highly successful lineage that was established in the summer of 2005 with the first incarnation GRD I. Although this is not a technical review is worth highlighting some of its greatest attributes. When you can grab a camera and I mean any camera whether its a small compact or dslr and totally feel at ease with its handling, its menu systems, the optics, this all spells a recipe for a winning formula, one Ricoh has captured and has continuously made better with each iteration of the GR Digital Series. A Few Words About The ImagesI post processed all images in what I like to call my digital darkroom comprised of Adobe Lightroom, Silver Efex Pro, and Pixelmator. I adjust curves, tweak contrast and saturation, work off custom made presets, and rarely crop in order to achieve a certain look. That said, all images were taken with the Ricoh GR Digital 3.Daido MoriyamaI believe its impossible to talk about the Ricoh GR Digital cameras without mentioning who can arguably be said made them world famous – Daido Moriyama. I mean every time you hold the the GRD its like if some kind of spirit of adventure and curiosity all of a sudden just takes hold of you body and arm and photographing just becomes an extension of your eye. Its really an uncanny feeling and one only GRD owners can relate, its by far a mystical sentiment without a doubt. As such, its important to always have a photographic tool at all times, because in time you will start to the see the world thru a frame. It happens at some point in our photographic journey. For some, it may be sooner than later, and still for others, it takes a while. Nevertheless, the moment comes to us all. The moment that our eyes and our photographic tool of choice are synchronized as one and then we begin to “trust our instincts” and act as one – one eye & one vision. Still using the GRD? I have noticed a few people saying they do but the noise from that small sensor makes me thing that sticking with the GR is the right choice. I certainly wasn’t thinking of swapping. 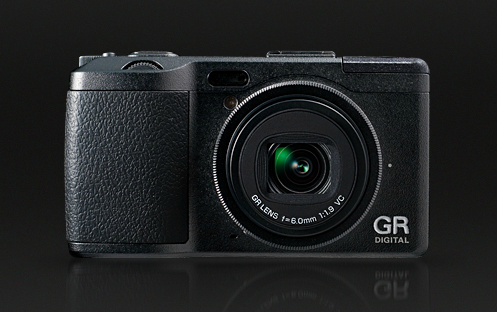 The GR is the ultimate camera for street photography. But by the same token the X100 s/t/f are in the same ballpark. Use what you want in the end what counts is your print. I really like the processing on that third image down, as well as the barber shop image. Heck, all of ’em! Thanks Keith! its going little by little, big changes coming soon. Jorge: you might want to put a return in that first paragraph in the right column. The bold “Daido Moriyama” needs to be pushed down to another paragraph. Thanks I’ll look into this. Nice post. I got my GRIII through a friend…he needed money and he asked me if I was interested. At the beginning I was so happy with my k-5 and the pentax Q. I bought it but I gave the camera to my wife. Couple of weeks later, she showed me her pics and man…bang! I was in love. The b/w contrast was so awesome, so easy to use, and so little. It is part of my collection, I love it. Now it is at the shop (some issues with the recording process in the cards). Anyways, like you guys I’m waiting for the next version…let’s see. Thanks for chiming all the way from Peru. Nice collection you have there the K5/Q are great and I’m sure your finding the GRD3 is also very special. Let your wife keep it and get the GRD4 or 5. Well done, Jorge. You should get another one. And it reminds me that I probably will wait until Ricoh announces the GRDV later this summer. Personally, I think this camera became too sophisticated and too customizable. Yet, you can still photograph with it like the original GR1. I just hope they improve the reliability. Some say it is a pocket camera, but in my opinion a photographer should always keep this camera ready in his/her right hand. It works, you know how it works. Thank you my friend. I think so, you should wait and see what’s coming soon. I’m certainly very intrigue as to the GRD5. I’m envisioning something with a bigger sensor and more responsive autofocus with all the glorious options from the previous GRD series. I so well you can relate to sentiments of this post because I know you make sing. Cheers my friend! I started out with ricoh (GX200) and now I own 3 of theme (GXR 50mm, GX200 & GRDIV ). The GRD goes with me all the time. it’s just a great tool and it’s easy to use. and If the lens is stuck, they have great service.:-)). you have some amazing examples of what the GRD can do! Thanks so much. Yes, I’m definitely at the stage where printing some of these are making more sense to me. I’m also in the process of making a book with images solely from the GRD, albeit, its a slow process but one I hope to complete sometime this year. The GX200 must have an amazing camera in and of itself. I still see a lot nice images from the GX200 that are stunning. Jorge…great camera I agree BUT you are ALSO very talented. I have a GRD (which is now non-functional with a stuck lens) and MY images always were so-so from it because I’m a so-so photographer. YOU would take great photos with ANY camera. I have come to feel that gear discussions are largely irrelevant but heck, we all love them don’t we? But anyone who looks at this and thinks that if they JUST buy a GRD, their images will look like yours will be sorely disappointed, and they’ll want a refund on their purchase. Thank you for you kind words Frank. I’m sure if you work the camera in time you’re images will be there and a lot better than mine. My suggestion is for you to just feel it. I know it seems kind of abstract but after while, knowing its limitations and more importantly the strong points, you’ll just create a magical fusion. Cheers. Great shots here, Jorge. Pure and hard b&w street hunting! I think you have found your street photography camera in the GRD. The next step for Ricoh is to put a bigger sensor on it without adding the bulk to the camera. Thank you Antonio. The simplicity of the GRD is one of my favorite features. Street hunting! I love the term. No doubt, a bigger sensor would be supreme.